A New York City mother who allowed her boyfriend to viciously beat her 6-year-old son, Zymere Perkins, to death, has accused Rikers Island jail guards of allowing her to be sexually assaulted by another inmate. On Friday, Geraldine Perkins filed a notice of claim ahead of a planned lawsuit against the city, its Department of Correction and yet-to-be-named correction officers, the New York Daily News reports. In it, Perkins not only accuses her jailers of doing nothing to stop her abuse but also says that they actually “took material steps to facilitate” an April 16 sexual attack by an “especially violent” inmate. Perkins, 26, was supposedly under protective custody at the time of the assault, but, because of a “bogus report of a jailhouse altercation,” was moved from her regular housing unit, putting her near Alexandria James, 32, who then allegedly raped her with a handmade device. As previously reported by The Root, Perkins was arrested in late 2016 after the beating death of her son Zymere, rocking New York City and shaking up the city agency tasked with keeping children safe. There were five prior reports of abuse involving Zymere, including three that were substantiated by Administration for Children’s Services, before the final, fatal beating. Perkins’ boyfriend Rysheim Smith, 42, was charged with second-degree murder, and she with manslaughter. 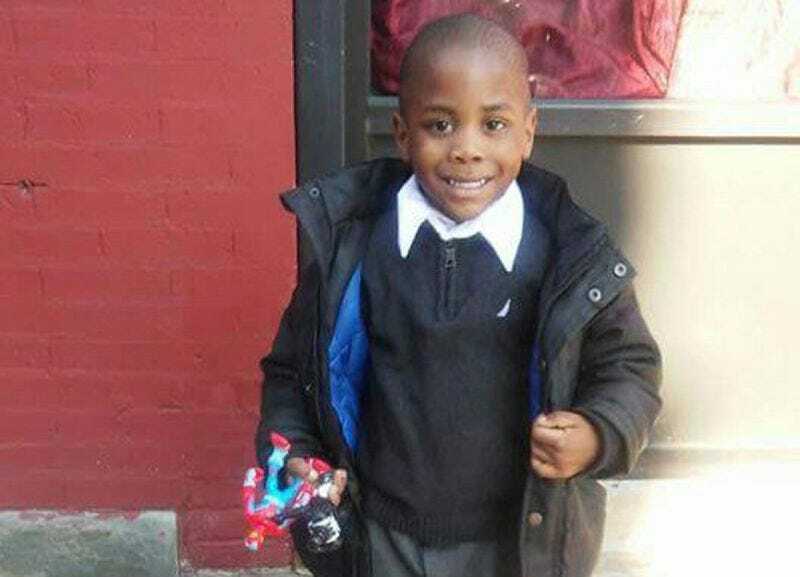 According to the autopsy report, Zymere died of fatal child abuse syndrome. He had broken ribs, finger marks around his neck and other injuries all over his body, which was discovered in his Harlem apartment on Sept. 26. The little boy was allegedly beaten for using the bathroom in an ice bucket. Smith was accused of battering little Zymere with a broken broomstick and hanging him by his T-shirt from a hook on the bathroom door as Perkins watched—but did nothing to protect her son, authorities said. It is a well-known fact that child molesters and abusers do not do well in jail.